Unique and Different Holiday Gifts! So you went down the Snuggie road last year huh? Weren't counting on an unseasonably warm winter were you? Are we ready to right that wrong? I have a mulitude of various giftables in a couple of online shops. First head on over to my ETSY SHOP where I have prints, drawings and etchings! And what are these little gems? Why, they're hand-drawn shrinky-dink jewelry of course! Pick up some of these and there's no way you can be the stinker in the holiday gift exchange. In fact, you may have to be prepared for fist-fighting amongst the women folk. 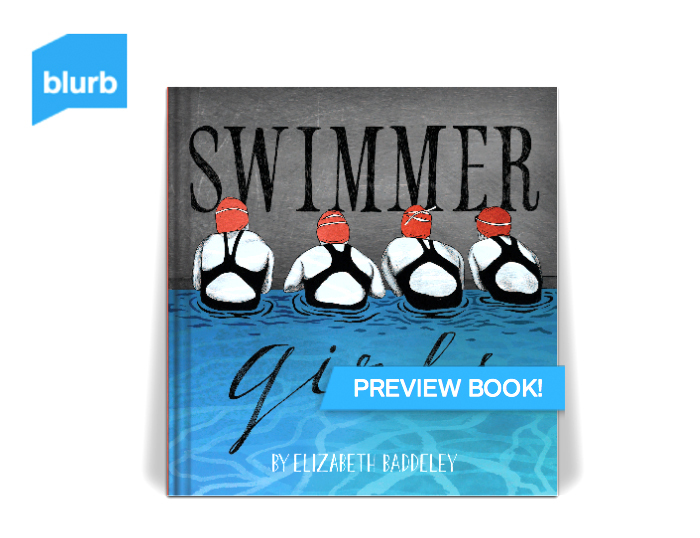 Last but definitely not least, head on over to BLURB and purchase your very own "Swimmer Girls" book. I have an unlimited amount so get one for the whole family! In case you missed those skillfully embedded links above here they are again: ETSY + BLURB.